I fly to Africa today, with British Airways from Warsaw to London to Johannesburg to Durban. It’s a long haul and because we’re heading a bit east I’ll be more tired than usual when I arrive. I have a class the next day so I’ll try to do some resting on the flight (yeah, sure!). Actually travelling by air is quite stressful on the body, although at least I mostly have big chunks of time in between flights to recuperate. 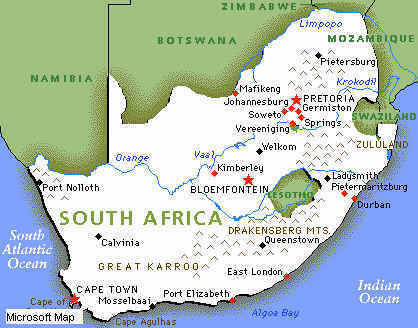 Johannesburg is inland near the border of Botswana, and Durban is on the coast. I’ll be in Durban for 11 days and then Johannesburg for 12 days before flying back up for more European classes.